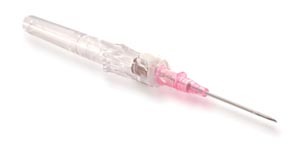 Pre-filled 12mL syringes with 3, 5, or 10mL fill volume of normal saline (0.9%). Luer lock syringe compatible with all needleless valves. Product is terminally sterilized. Compliant with INS standards. Company is FDA inspected and ISO certified. Certified minority owned company.